Adley has stayed busy since her run on “The Voice” on Blake Shelton’s team. 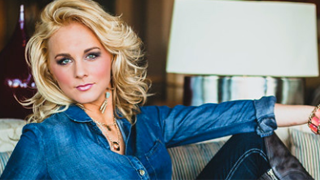 She is now working with a team of music industry icons that are continuing to use film and television to magnify Adley’s presence within country music. Both of Adley’s latest musical releases have broken the iTunes Top 40 Country Charts within 12 hours, she is a #1 Best-Selling author, and is the current spokesperson for Little Black Dress Wines.